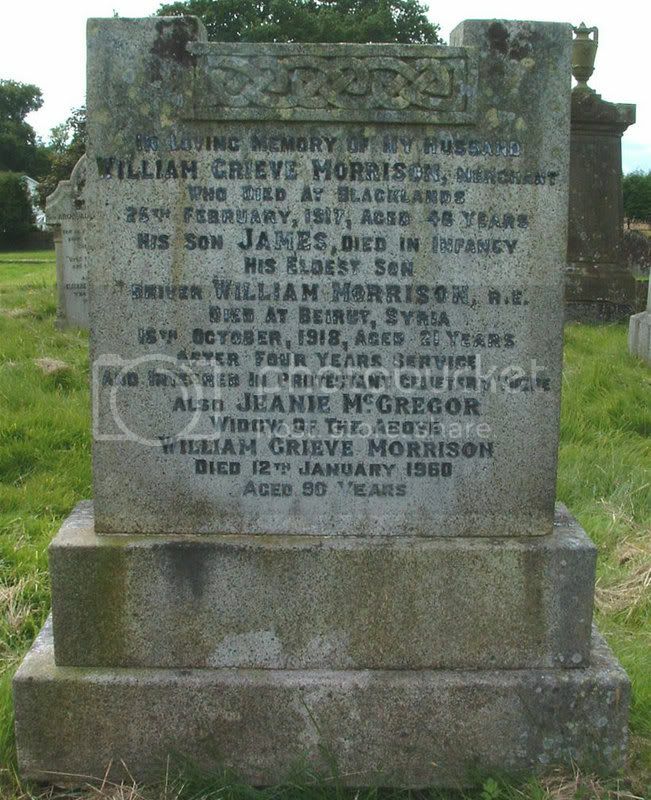 Additional information: Foster-son of Elizabeth Gray, of Stewarton, Ayrshire. Grave/Memorial Reference: South Extn. 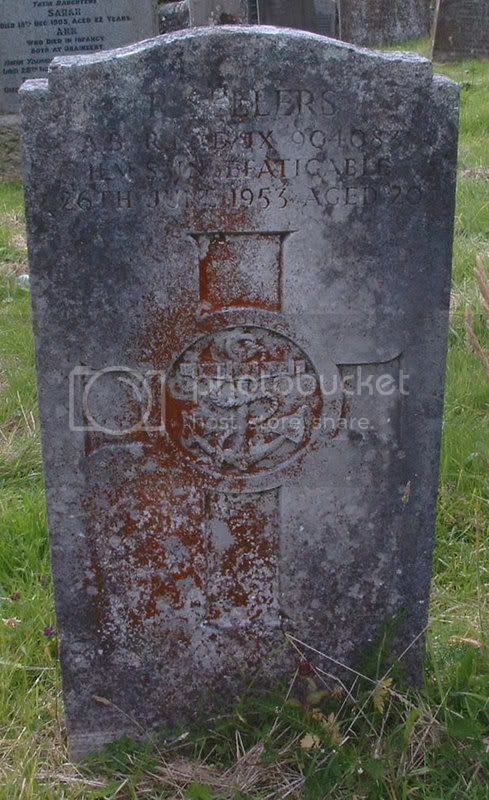 Grave 206. 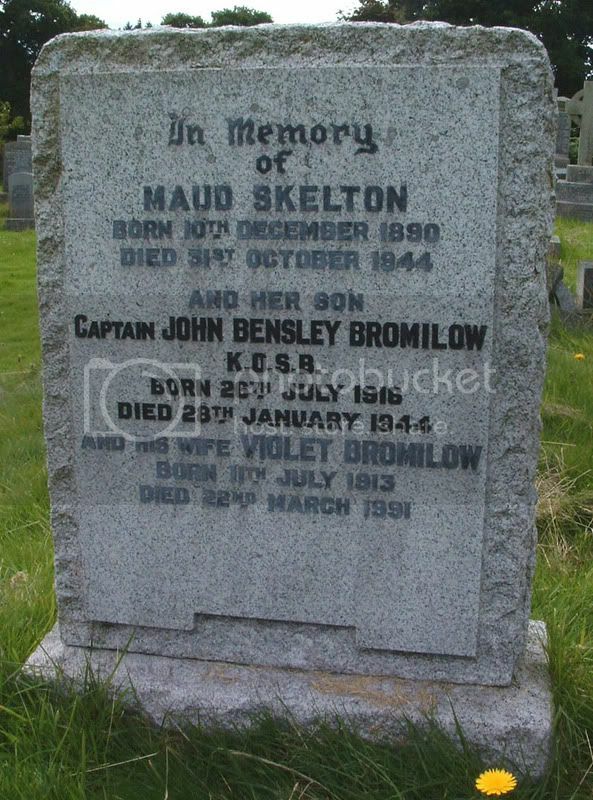 Additional information: Son of Major-General D. G. Bromilow, D.S.O., and of Mrs. M. Bromilow, of Killearn; husband of Violet Bromilow. Grave/Memorial Reference: South Extn. The Moss Lair. 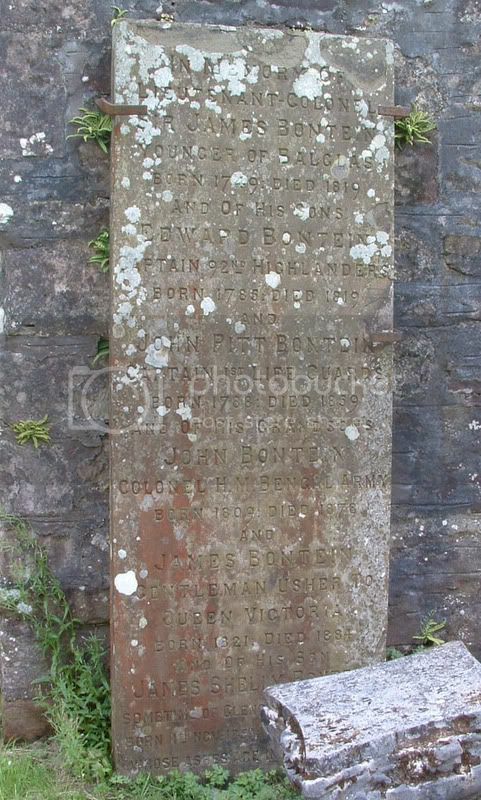 Additional information: Son of William and Jessie Fraser, of Killearn. Grave/Memorial Reference: South Extn. Grave 12. 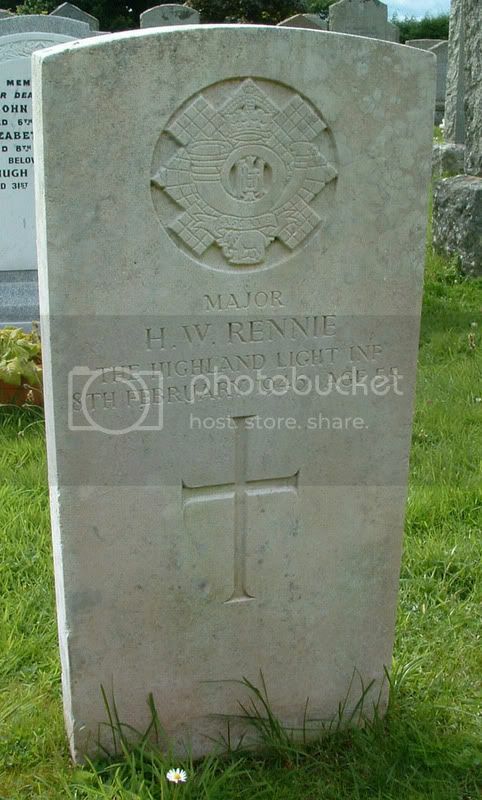 Additional information: Son of Bruce and Margaret Jane Rennie; husband of Dorothy Rennie, of Killearn. Grave/Memorial Reference: South Extn. Grave 109. 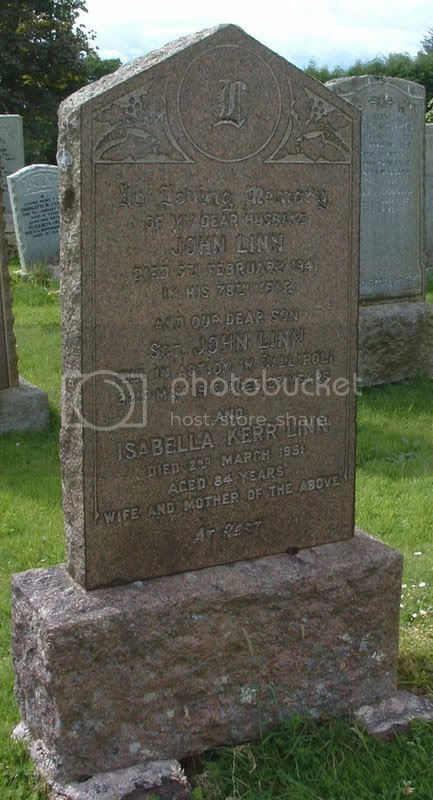 Additional information:	Son of John and Isabella Linn, of 451, Bilsland Drive, Maryhill, Glasgow, Scotland. Grave/Memorial Reference:	III. F. 7. 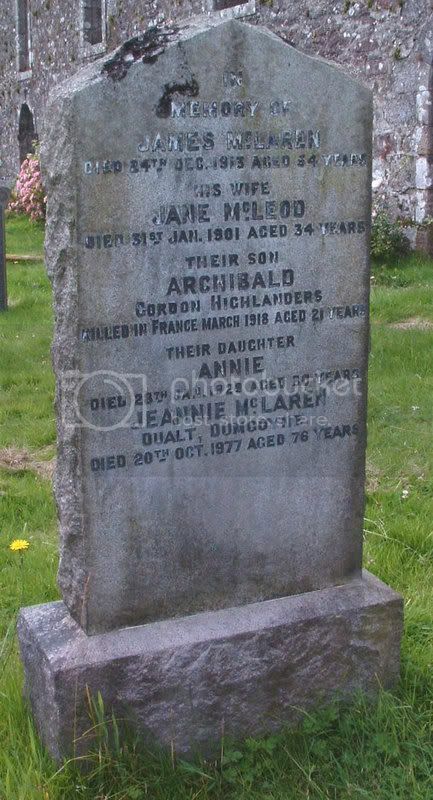 Additional information:	Son of the late James and Jeanie [Jane] McLaren (nee McLeod) of Killearn, Glasgow. Grave/Memorial Reference:	I. D. 2. Unit Text:	4th Bn. attd. 10th Bn. 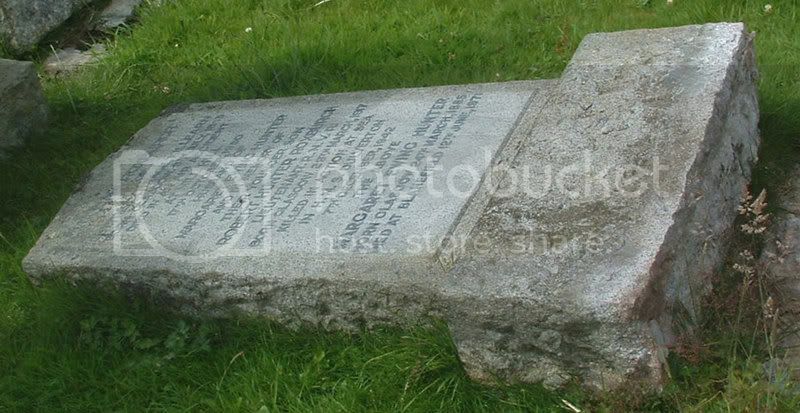 Additional information:	Son of Robert Gibson and Margaret MacArthur Miller (nee Steven) of 12, Parkgrove Terrace, Glasgow. Unit Text:	"K.K." Cable Sect. Additional information:	Son of William Grieve and Jeanie G. Morrison (nee McGregor), of 13, Roselea Gardens, Anniesland, Glasgow. 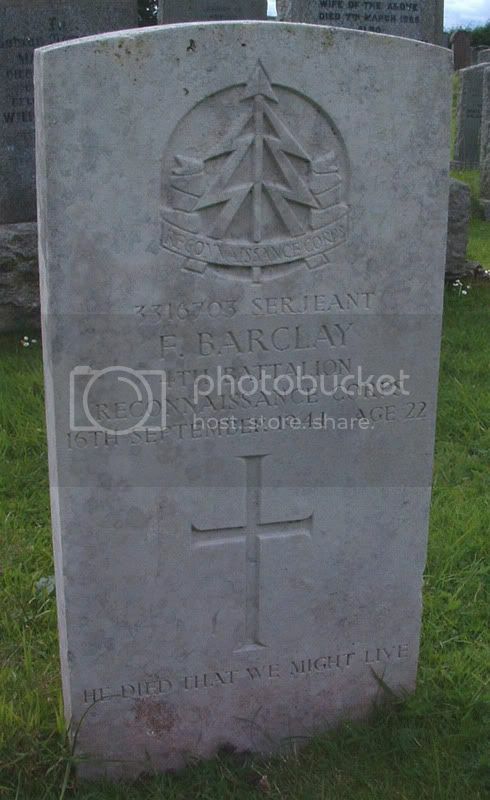 Additional information:	Son of Sir Archibald and Lady Orr-Ewing, of Ballikinrain. Grave/Memorial Reference:	X. Z. 4. Grave/Memorial Reference:	Panel 76, Column 3. Additional information:	Son of the Rev. 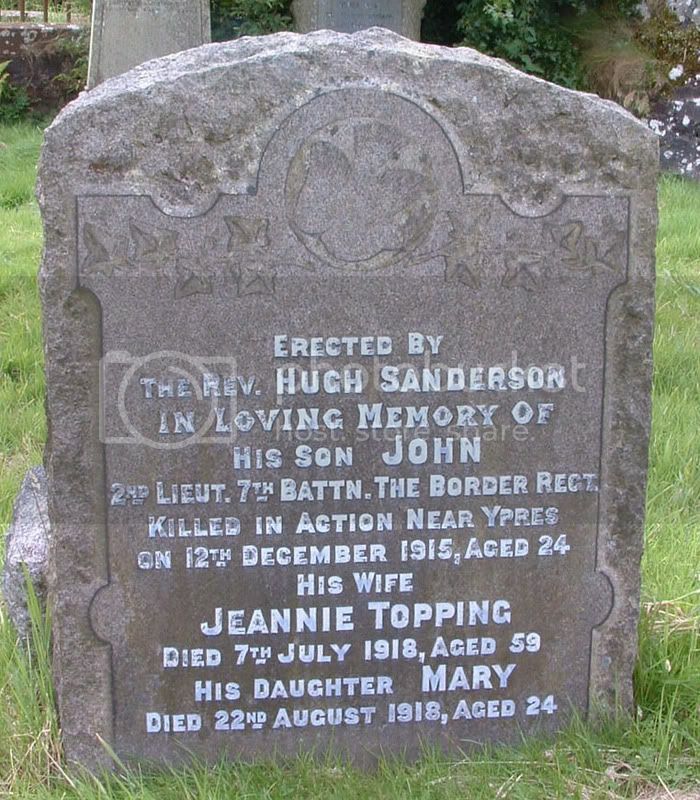 Hugh and Mrs. Jeanie Sanderson (nee Topping) of United Free Church Manse, Killearn, Stirlingshire. Born at Glasgow. Was a distinguished student and Bursar of Glasgow University. Grave/Memorial Reference:	Menin Road North Mem. 55. 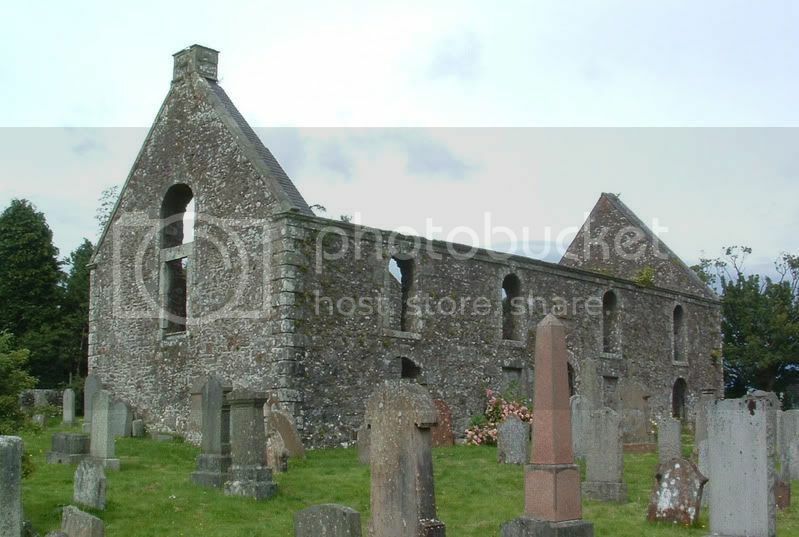 Additional information:	Eldest son of Sir David Wilson, Bt., and Lady Wilson, of Carbeth, Killearn, Stirlingshire. Grave/Memorial Reference:	I. A. 10.